What are wearable technologies? What are the legal implications and risks of using such technologies? 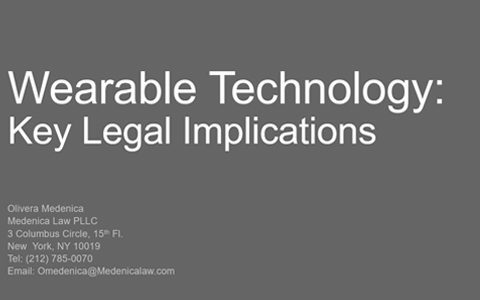 Olivera Medenica – Principal, Medenica Law PLLC, of counsel at Bondard Law, gave a conference in New-York about the legal implications of wearable technologies in March 2017. How to negotiate an intellectual property contract? How to register a trademark in France? 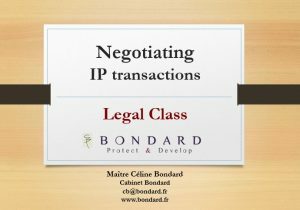 This legal class has been given by Céline Bondard,esq., in AT Ecole Polytechnique in March 2017.